40Plus of Greater Washington - Kathryn Troutman: Fired Up and Ready to Go Get Those NEW Federal Jobs!! Kathryn Troutman: Fired Up and Ready to Go Get Those NEW Federal Jobs!! Fired Up and Ready to Go Get Those NEW Federal Jobs!! Get your federal resume or Presidential Appointee Resume ready to go NOW! After 11/8, we will know who our next President will be and you can begin your federal job applications! Whether you are seeking a Civil Service position or a Presidential Appointee position, Kathryn Troutman will give you tips and tricks for the best federal resume for USAJOBS of the Transition Committee. Kathryn will autograph copies of the Federal Resume Guidebook, 6th edition for purchase on-site. The books will be $10.00 in order of Election Day. Kathryn Kraemer Troutman is the founder and president of The Resume Place, Inc., a service business located in Baltimore, MD, specializing in writing and designing professional federal and private-sector resumes, as well as coaching and education in the federal hiring process. 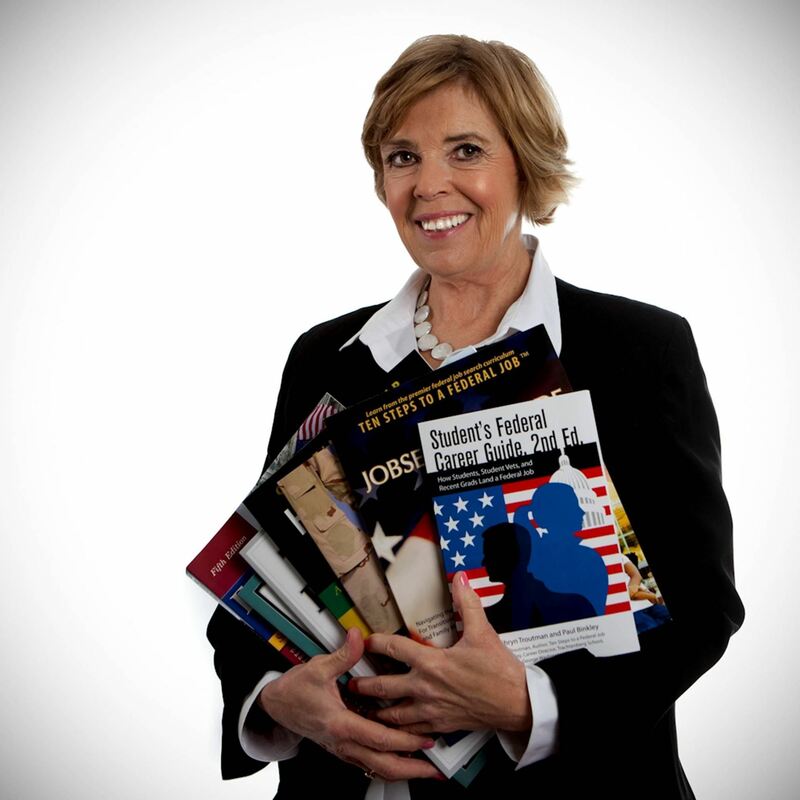 For the past 30 years, Troutman has managed her Professional Writing and Consulting Practice, Publishing and Federal Career Training business, and with her team of 20 Certified Federal Resume Writers, The Resume Place advises and writes more than 300 federal resumes per month for military, private industry and federal clients world-wide.